I thought of those words of Anne Frank recently, when I met a little boy in Bangladesh. A little boy who grabbed my finger and aimlessly led me around a refugee camp. A little boy with an empty plate and eyes, oh, a hundred years old, and a tiny behind as wrinkled as an old man’s…Listen Anne Frank: How can all people really be good if he…like millions of other children who’ve had to give up their right to live, to smile, to learn, and to grow…has had to suffer so much? 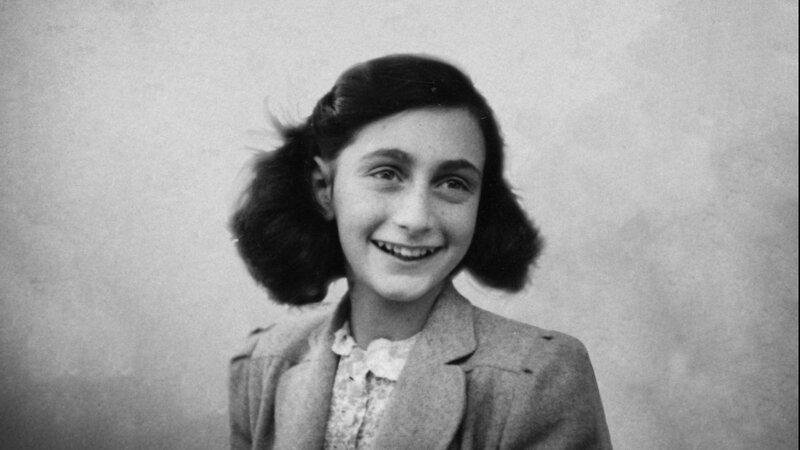 You were so young, Anne Frank…your trust in humanity so extraordinary. Sitting there in your small loft. Writing. Hoping, Dreaming. Believing. Surrounded by so much evil. And finally, listening to Evil itself hammering on the door behind which you had been hiding for such a long time. Did you still believe when they brought you to Auschwitz? When your mother was sent to her death? As your sister lay dying? And then you…? More than seventy six years after you wrote your words, there is still war, poverty, child exploitation and neglect. One hundred eighty million children are homeless around the world. It is estimated that 1.6 billion people around the world live in “inadequate shelter”. An estimated 6.3 million children under the age of 15 years died in 2018. 5.4 million of them were under the age of 5 and 2.5 million of those children died within the first month of life. This translates into 17,261 child deaths per day or 720 per hour. We are defined by those deaths. Anne asked, “Why can’t people live with each other in peace?…Why must everything be destroyed?…Why must people go hungry while surplus food elsewhere in the world rots aways?…Oh, why are people so crazy?” Yes, why are people so crazy, Anne? Or would you today, as a ninety-year-old woman, have given it another name? Why are people so cynical? Maybe because it is easy and fashionable to be a cynic, to shrug one’s shoulders and say, “Well, there’s nothing I can do, really.” It is easy to turn one’s back, turn off the television news. But I ask you, where do the children turn? They do not disappear at the push of a TV button. Their suffering does not cease, their cries do not hush, even though we can’t (and often choose not to) hear them. Deprived of freedom in a small loft, Anne painted a portrait of herself that has survived. Survived not only because of the circumstances of her life, but because of her belief in Life. Her belief in you and me. And in our ability to change. To protest. To care. To make good what is evil. We owe it to her to listen. We owe it to her to be good. We owe it to her to believe in the possibility of Good, within all of us, and then in our daily life to demonstrate this belief. Because Anne believed in us.